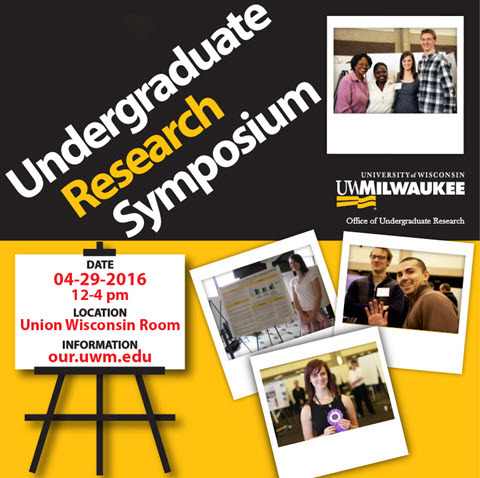 UWM Digital Commons - UWM Undergraduate Research Symposium: Ecological Aesthetics: What Does Contemporary Political Art Look Like? Ecological Aesthetics: What Does Contemporary Political Art Look Like? For the past two years, I have worked as the core researcher on Dr. Nathaniel Stern’s latest book, Ecological Aesthetics: art encounters with humans, nature, and politics (currently out for review). This text explores contemporary artworks that manifest a politics of movement, potential and composition outside standard human perception. Through a single artwork or series of works, each section narrativizes our experience and practice of complex systems and forces. This year, Dr. Stern and I wrote a collaborative section using my own video installation, Sighing Waves, as a case study to question what contemporary political art looks like. Our collaborative section discusses encounters between weather, climate, and our relationships, through an examination of artist/designer Jessica Findley’s ongoing project Aeolian Ride and my artwork Sighing Waves. For Aeolian Ride, Findley organizes public biking events in which riders wear inflatable sculptures that give shape to the wind. My work, Sighing Waves, utilizes real-time weather and wave data to dynamically affect pre-recorded video of my boyfriend and I breathing. The section shifts from artist statement to interview, biography to poetic essay, storytelling to descriptive text, and back. We tie in critical theory from curators, philosophers, and political theorists, including Nato Thompson, TJ Demos, Erin Manning, and Jane Bennett. Both works discussed in the section propose new engagements with how spectacular and immense material forces like wind and weather always affect our being, and that we, too, affect theirs. The artists highlighted in the book, including myself, negotiate the difficult tensions between the abstractions and subtleties that contemporary art and discourse require, and, seemingly at odds, the call felt for a focused response to the troubling times we live in. An ecological aesthetic attempts to both celebrate and critique such tensions.